Tuna and grits is a classic Bahamian combination, appropriate for breakfast, lunch or dinner, but traditionally eaten for breakfast. When I was a student abroad it was a comfort food and a way to fight homesickness. Then, whenever I came home, it was one of the ways I felt welcomed and grounded. At some point not long into my return, someone somewhere had this combo on the table. 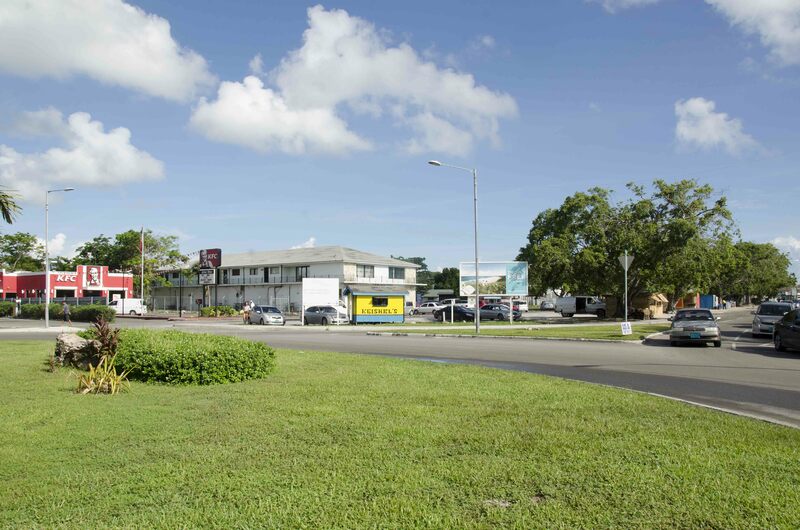 There was no need for a special request, it just was; as much a part of the landscape as palm trees and colourful cement buildings. Last year I met and admired a woman from my church in New York. In hopes of starting a friendship I invited her to breakfast one Saturday. 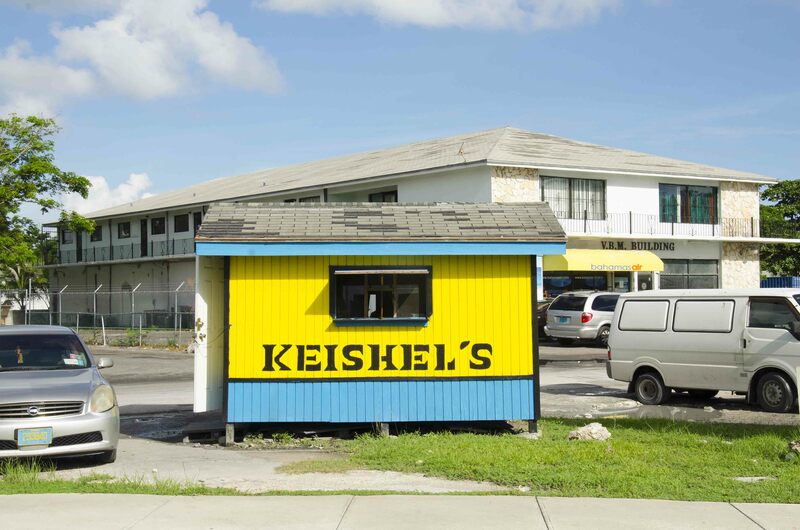 I brainstormed a whole list of menu ideas before I decided to tell her more about myself through this Bahamian classic. The morning came and I offered tea, orange juice and homemade muffins, then announced that the star of the meal would be tuna and grits. She was surprised at the combination and asked for only a little, but found she loved it and had seconds. I was so pleased to be able to share a bit of The Bahamas with her and that she enjoyed the meal as much as she did. 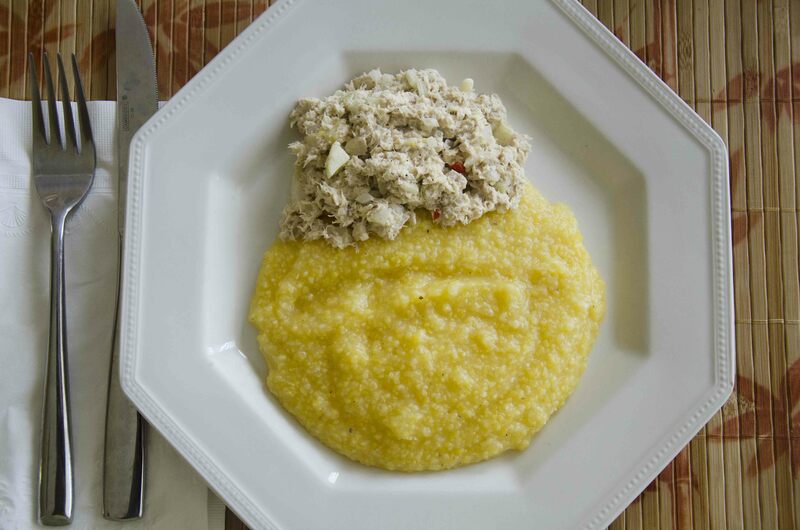 Is tuna and grits truly an odd pairing? I can’t judge since it’s as ordinary to me as peanut butter and jelly, and almost as plain. Grits: preferably yellow. Polenta works in a pinch but has a slightly different flavour probably owing to its completely different mouth feel. Boil them in plenty of salted water and be generous with butter when they’re done. 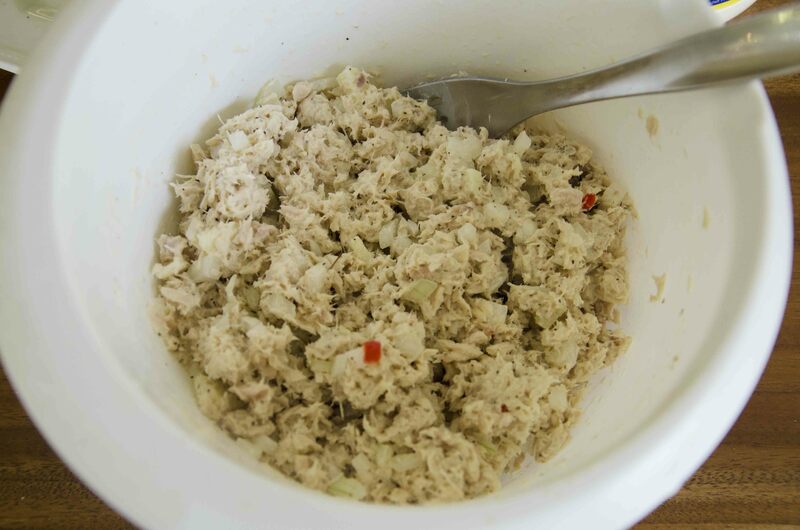 Tuna: from the can, tossed with lime juice, mayonnaise and finely diced onion. That’s the salad at it’s most basic, but you can add celery, a spicy (habanero-type) pepper, sweet pepper, apples (my family’s spin) and/or mustard (I love a little). Those are the most popular add-ins I’ve seen, but you can get creative. Don’t go crazy though, the tuna has to shine through. It doesn’t share the stage with any other ingredients. If you’re thinking tomatoes, walnuts or grapes, you’re heading in the wrong direction. The result should be smooth, a little crunchy from the onions, tangy from the lime, possibly with a sweet and spicy kick if you’ve used apples and pepper. On a plate or in a bowl, two colours asking to be swirled together: yellow and grey, like you’ve seen on all the pinterest wedding boards. The meal is simple enough to make, but takes more time and foresight than toast or cereal, so growing up it was more of a weekend affair. For me, tuna and grits means eating with family; a morning spent registering the blue sky, bougainvillea and birdsong. 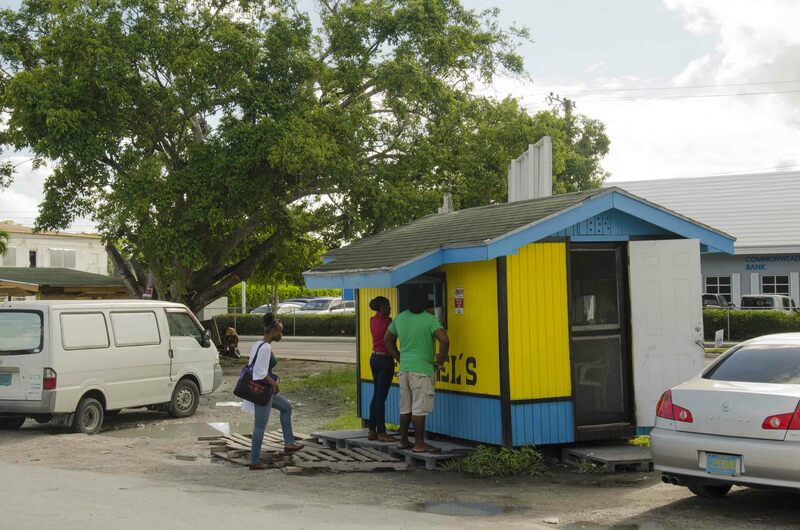 But there’s also a Bahamian staple known as the 99¢ breakfast: food stalls dot the island of New Providence selling small styrofoam containers on the cheap. In addition to tuna, they offer other ‘and grits’ combinations like sausage, eggs, sardines and corned beef. They don’t cost 99¢ anymore, but you get the idea. Plenty of people stop by to grab breakfast on their way to work, or for their children to carry with them and eat before school. My siblings and I always had breakfast at home, but even on a full stomach my classmates’ hot meals were tempting. In my mind, tuna and grits is the champion. Taste it and see for yourself! Dice the onions, pepper and apple as finely as you can. 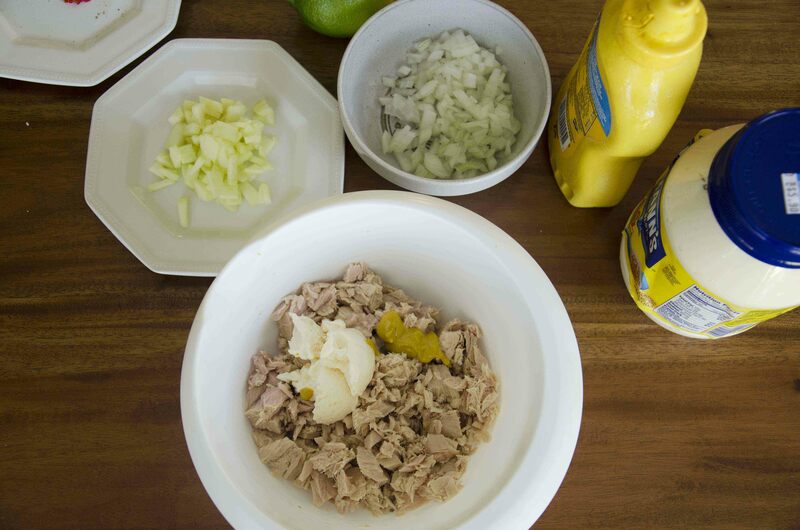 Open the cans of tuna, add them to a bowl and use a fork to flake them apart. 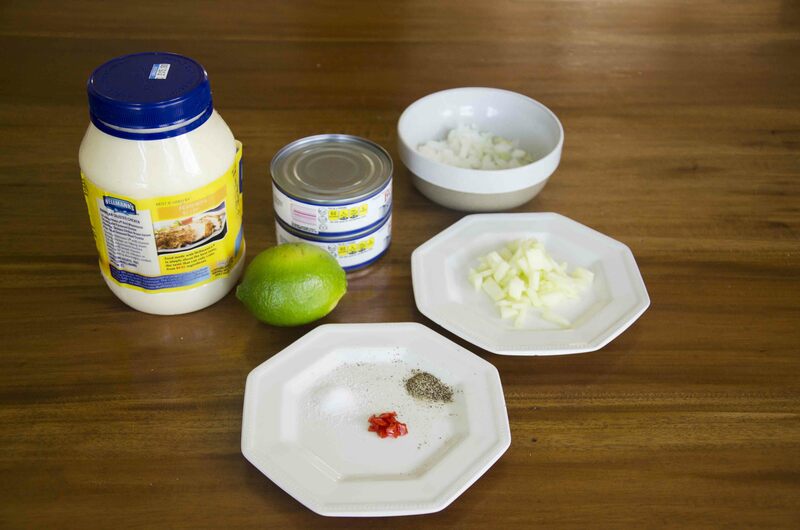 Add the mayonnaise and mustard, stir, and then mix in the pepper, onion and apple. Add the salt, pepper and juice from the entire lime. Taste for seasoning and adjust according to your liking. 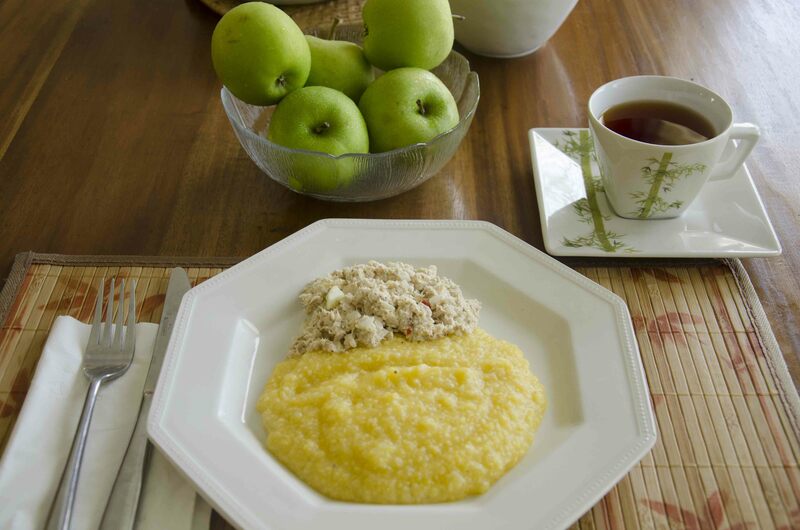 Set the tuna salad aside and prepare to make the grits. It takes a lot of time and attention to make sure they're smooth and creamy, so I don't suggest making them at the same time as the tuna. 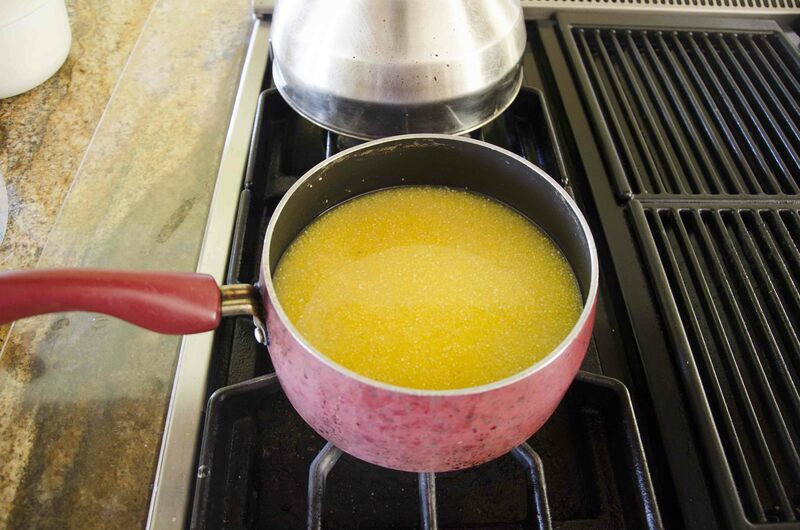 Bring 3 of the 4 cups of water to a boil, then add the salt and grits, pouring slowly to discourage lumps. 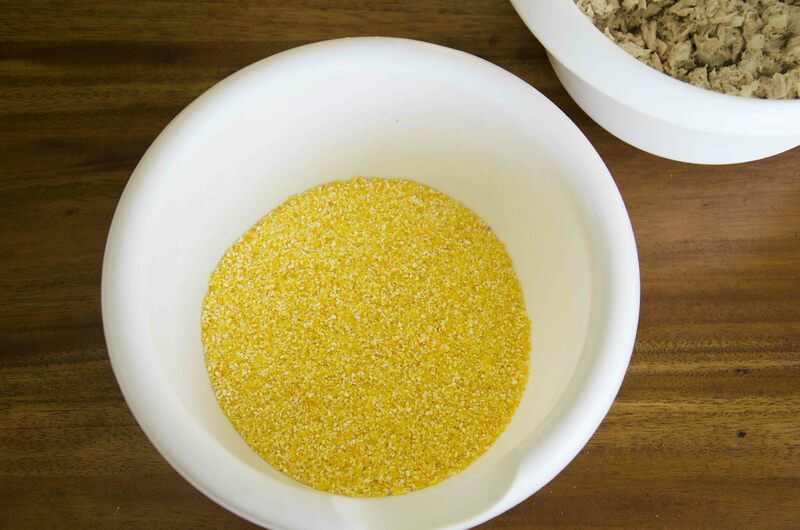 Stir regularly until the grits begin to thicken, then slowly add in the remaining cup of water, about a quarter cup at a time. This is another technique of mine to discourage lumps, although you could try boiling all 4 cups at once. Keep regularly stirring the grits until they've completely absorbed the water. The whole process will take about 20 minutes. Stir in the butter, and serve alongside the tuna. I love this. Growing up in South Carolina, we had grits with all sorts of things, but I’ve never had it with tuna! But I love tuna salad and I love grits, so this makes perfect sense to me. Such a rich, touching story behind it and so neat to hear about how normal and comforting this dish is for you — I’m so glad you shared. Can’t wait to try it. Thank you! Thanks so much! I hope you find it as tasty as I do! I had Tuna and Grits from a breakfast counter on Long Island. Very good! However, the Tuna salad was served warm! Not room temperature… stove top warm. Yes it had mayo, so the Tuna was very creamy, and the grits were just right.